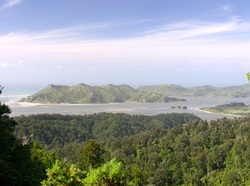 As the road winds its way down the Takaka Hill the view into Golden Bay begins to unfold before your eyes. The rugged mountains of the Kahurangi National Park surround the green meadows of the Takaka River valley, down to the sparkling waters, golden beaches and bush-covered hills of the Abel Tasman Park. In the distance you can just make out the 35km long arm of sand that embraces the Bay and provides a home to many waders and sea-birds - Farewell Spit. Beyond this are the wild West Coast beaches covered in sand dunes, and the large Westhaven Inlet. A magical place to explore - we look forward to sharing some of Golden Bay's secrets with you. Our Golden Bay Experience package includes a scenic drive over the Takaka Hill and into the Bay, four nights in comfortable accommodation with delicious meals every night. 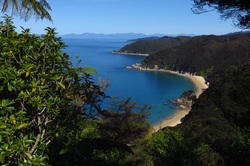 We offer selection of some of Golden Bay's finest day walks including Farewell Spit and the Puponga Farm Park, Wharariki Beach and the surrounding hilltops, Wainui Falls and the Northern end of the Abel Tasman Park. We then drive back to Nelson on the afternoon of day five. Please note: day walks can be easily interchanged so we can make our decision each day depending on the weather. 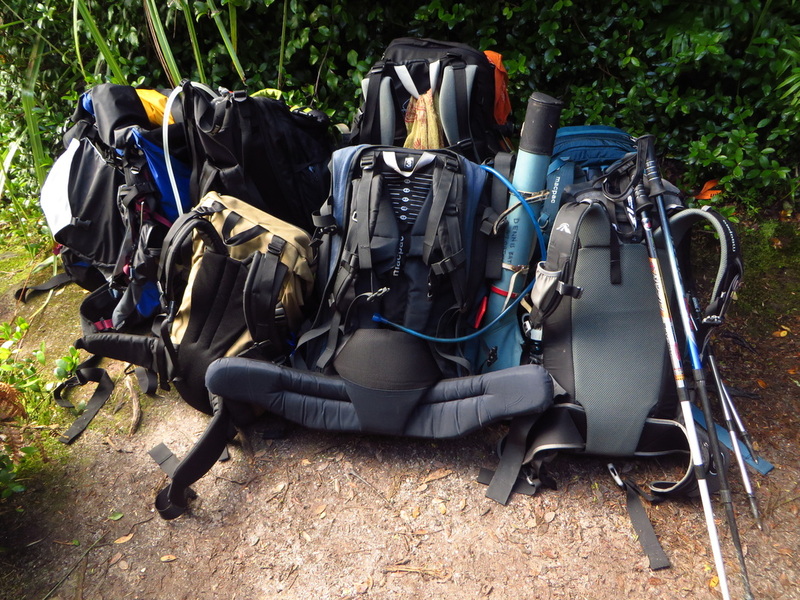 We pick you up from your accommodation in Nelson and drive over the Takaka hill into Golden Bay (approx 2 hours). We visit the beautiful Waikoropupu Springs (reputed to be the second cleanest water source on Earth) and take time to explore the historic Pupu Hydro scheme walkway before arriving at our accommodation. We may even stop on the way home and catch a salmon for dinner. There is no shortage of spectacular walks in this part of the country. 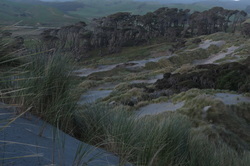 From the grassy hilltops of the Puponga Farm Park we get fabulous views over Farewell Spit and beyond. From here we walk to the Fossil Point lighthouse on the outer coast of the spit, before crossing the dunes and returning on the inner shoreline. Cape Farewell is the most northern point of the South Island. From here we follow the coastline along the clifftops to Wharariki Beach where we spend time exploring the sea caves, playing on the sand dunes, and observing the seals. The Kaituna Goldfield was first worked in 1859 and continued until the late 1800s, although little gold was ever recovered. The present track follows the original pack-horse track to the Kaituna goldfield. Due to the fact that this track starts in one very remote place and ends in another, many do not get the chance to walk this stunning route. This is your chance! We begin our day with a scenic drive along the shores of the Whanganui inlet and walk the track eastwards towards Aorere Valley. A short side trip to the summit of Knuckle Hill is well worth it as the views from this point are fantastic. We finish our day with a well earned drink at the rustic 'Naked Possum' Cafe. The Northern coastline is the Abel Tasman's best kept secret. We share with you some of the park's finest, quieter beaches, mature native forests and even a seal colony at Separation Point on this spectacular day walk. We spend the day exploring this magical coastline and stopping along the way at many points of interest. We enjoy our afternoon tea at the historic Wharawharangi homestead, before returning over the Wharawharangi saddle to stunning Wainui Bay. Giant northern rata, perched on top of limestone outcrops are just some of the wonders that lie within the Grove Scenic Reserve. The 30min track winds it's way through a lush forest of tree ferns and nikau before emerging at a viewpoint which looks across the bay. 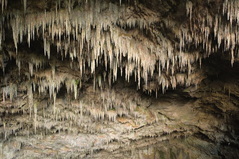 Next, we take a 45min walk to the magnificent Rawhiti Cave, and marvel at the thousands of stalactites that hang above us. After a picnic lunch we then return you to Nelson, arriving approximately 4pm.